Data is constantly pouring out of your smartphones, smartwatches, smart TVs and countless other devices that are all connected—and it continues to proliferate at an astounding rate. 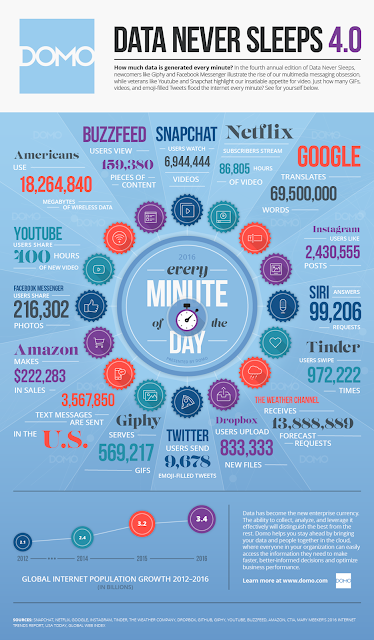 But just how much data is generated every minute in 2016? For the fourth time, Domo has the answer—and the numbers are staggering. Amazing stuff. More at Domo.